Between my freshman and sophomore year in college, one of my closest friends was in a boating accident and ended up paralyzed from the chest down. It was one of those events that shook us all out of our comfort zones and forced us to grow up faster than you would at 19 years old. He and I went on to live together for the remaining three years of college and in hindsight, I am certain I learned more about myself in our apartment than I did in the classroom. One of the most important lessons I carried into my cancer journey was that when a friend or loved one is going through a significant event such as a life altering injury, death in the family, or cancer diagnosis, there is no right way to act towards/around them. Some people are naturally more nurturing while others may be distant until the storm subsides. This was not an easy lesson to learn, but given the incredible strength and grace of my friend I am not surprised he is the one that helped me understand it. Over the past nine months I made a conscious effort to be understanding of those people in my life that did not reach out as much as I would have predicted pre-diagnosis. By living in this mindset I was able to focus my energy on healing my body instead of judging people for things they did or did not say or do. As I have mentioned before, I grew up playing competitive hockey. 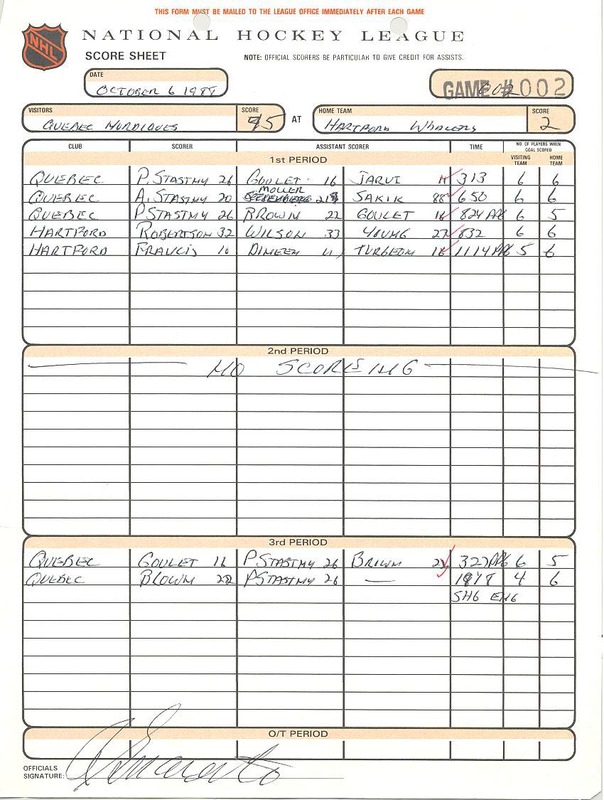 One of the main (if not only) goals of a young hockey player is to get on the score sheet. 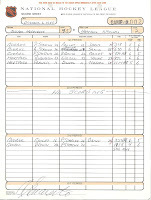 Whether it is from a goal, an assist, or a strategically placed penalty, being a part of the score keeper’s tally was of the utmost importance. It is only later in life, thanks to my friend’s lesson and a battle with cancer, that I realized score sheets only burden us as we mentally keep track of who has scored points in our lives. Don’t wait for a reason to stop keeping score. Take a moment and rip up your score sheet so you can reallocate the energy it takes to maintain it towards something more positive.